Airplants have become incredibly popular indoor house plants over the past few years, spreading like wildfire across social media platforms and boutique flower shops alike. 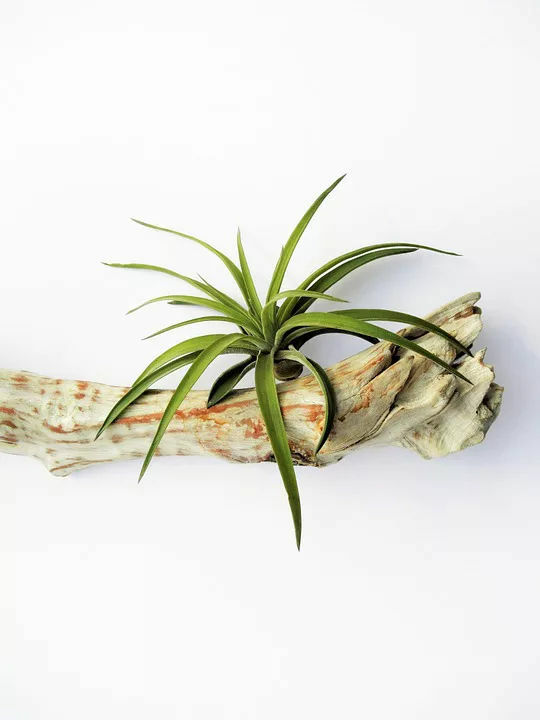 Whether you’re an interior designer or you’re just looking to spruce things up around the house, learning how to take care of an airplant is probably a good idea! It’s easy to feel intimidated in caring for plants that appear as though they have arrived from an alien planet. But once you’ve got it down, you’ll find that airplants are very low maintenance. Keeping them alive, happy, and healthy is a breeze – an airy breeze. Get it? 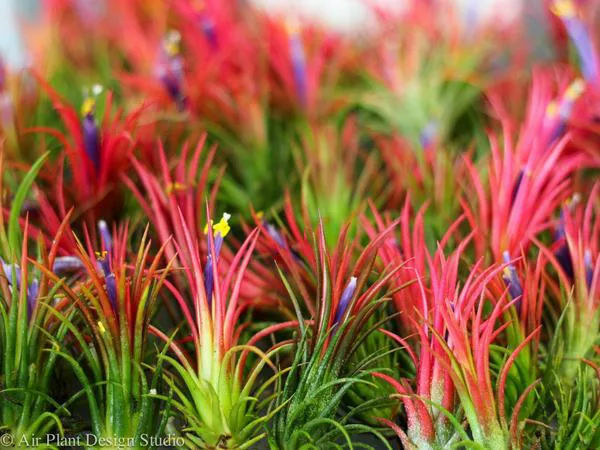 Airplants, a common name for Tillandsias and other types of Bromeliads, don’t need soil to thrive. In warmer regions of the Americas, airplants survive by colonizing tree branches, rocks, and power lines. Because they are epiphytes, they are able to use these structures for support. They are then able to collect what they need through air circulation. There are rumors out there that you should mist your airplant with a spray bottle. In reality, it’s much easier. Plus, a delicate spray probably won’t provide your plant with the amount of water it needs. Once or twice a week (depending on the humidity of the climate where you live) just soak your airplant in a cup of water for 5-10 minutes. We’re talking full submersion here. Let it drink up the water before removing it from the water. Place it in a bright room to dry out. There are a few tricks to keep in mind during the weekly watering ritual. First, you can turn the plant upside down when drying, so that the water doesn’t pool at the bottom of the plant’s tendrils. Secondly, try placing a cloth beneath the plant to soak up any excess water. Like skin, airplants can burn if they are exposed to hot, intense, direct sunlight. Airplants prefer to inhabit areas that are brightly lit, but out of the direct sun. Obviously, a dark basement won’t do the trick either. Seek out areas that are warm and light but won’t scorch the airplant’s spikes off. Pinterest images and decor magazines often showcase airplants cutely displayed within an enclosed terrarium. This is really not an ideal location to keep your airplant. As epiphytes, airplants depend on airflow and dust carrying bacteria to collect their needed nutrients. There’s no need to place a fan directly in front of the plant or anything like that. It’s intuitive, really. Like most healthy, living things, proper airflow and regular circulation help these plants to flourish. While providing your airplant with the necessary ingredients to live is relatively simple, coaxing your airplant into a full bloom is another story. To start with, there is a wide variety of airplants and any “general rules” to get different species to bloom vary greatly. Tillandsia plants (one type of airplant) only bloom once and it signifies the end of their lifecycle. The mother plant will begin to produce baby plants and then die off. You can keep an eye out for airplants that are about to bloom at garden stores, knowing your time with your new friend may be colorful, but short. However, depending on the species of airplant, the blooming stage can last anywhere from a couple of days to a couple of months. If you airplant does start to bloom, you can add an orchid fertilizer to the weekly soaks. Doing so will speed up the life cycle of the plant. However, be sure to keep the baby plants out of the water as their fragile petal structure won’t be able to withstand being submerged. Have you had any luck getting your airplant to bloom? Have you found a perfect nook for this strange spikey plant to inhabit? We’d love to hear about it!